Tourism can be the biggest money maker for a city, or even an entire country. Tourism brings about economic development, job creation, and a centralized location for businesses. Think about it like this: a cruise ship decides to add a stop at a small island in the Caribbean, for example this happened to the island country of Dominica. They never had a cruise port before, so thousands of jobs are created to build this cruise port and the cruise port terminal that includes a number of shops and restaurants. Since a couple days a week ships will be stopping there, they need more taxis and busses to transport these people which creates more jobs. They realize the roads are run down for heavy motor activity so they need to fix the roads especially around town which creates more jobs. Businesses and restaurants start to appear close to popular spots the ship will have excursions at. 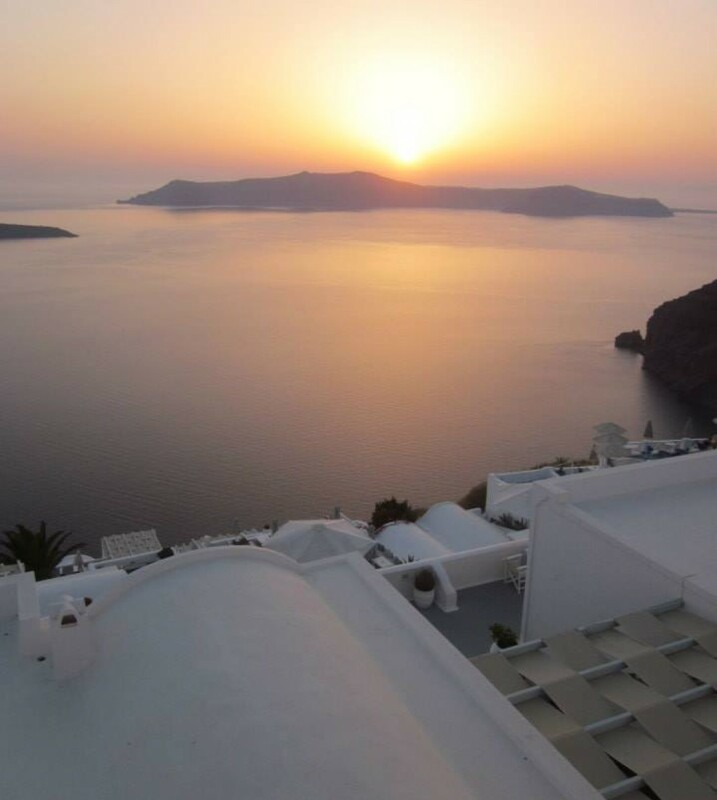 New excursions for the ship are developed, involving the hiring or boat captains, diving instructors and tour guides. When the ships finally start stopping there, families make crafts and sell them in the street to the visitors. Dominica is a beautiful island and country and I am so thankful that our cruise ship stopped there. 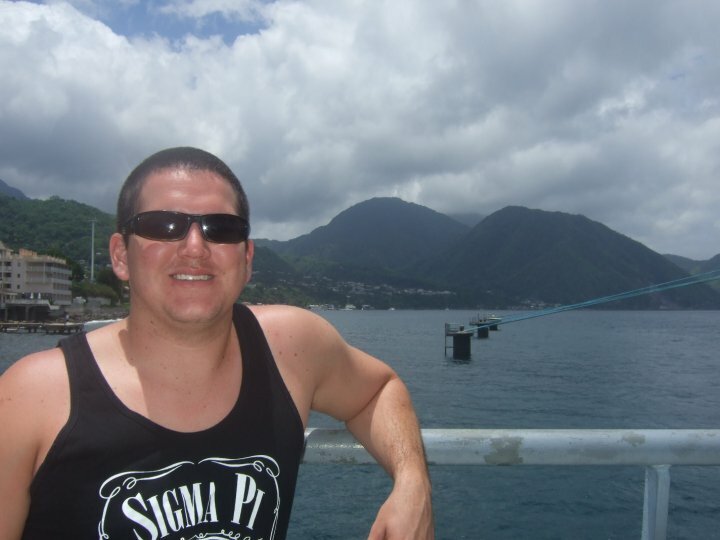 This is my now husband on the cruise ship with the island of Dominica in the background. 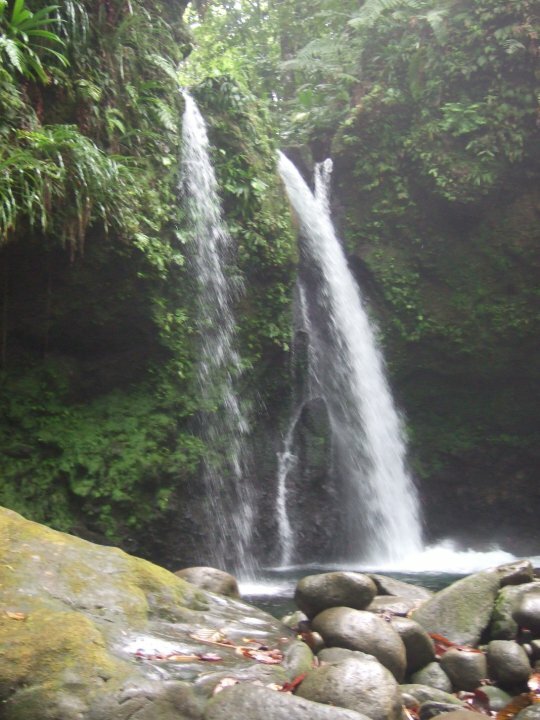 This waterfall is one of the main highlights of the island of Dominica. Rick Steves, a well-known travel writer, says cruises are an example of hedonism and not real travel. Hedonism is the pursuit of pleasure or indulgence in pleasure. Yes, cruises are definitely all about comfort and pleasure. I think to really get a real understanding on a country and to really learn about it you need to spend some time there and not just a day stop…HOWEVER, I do think you can get a good glimpse at the culture. It depends on what you do on your trip and what you make it! So yes, I was only in Dominica for a day, but I think I got a good glimpse on the poverty the people go through and how their economy completely depends on tourism. While driving around the single main city on the island, and crossing the island to go to the waterfalls and river tubing, I saw that most people lived in shacks and children wandered down the street without shoes. Most buildings did not have windows or doors. Some people washed their hands in pots filled with water outside their homes. While driving us across the island, our bus driver and guide talked about the struggles the country has. They explained that the average salary was $14,000 a year and that many people in the country get their clothing from charity shipments sent to the island. The five men leading us on our river tubing adventure all wore Phoenix Suns jerseys and basketball pants that they all received from one of these charity shipments. We drove through the jungle up to the starting point of the river and one of the men pointed out their families old home – three pieces of wood and a tin roof. We stopped by an outside bar on the side of the road. The bartender explained that it was mainly there for the cruise tourists, as going to bars was too costly for the actual residents. If the cruise ship didn’t stop there, I would have never had my eyes opened to the struggles this country, and others like it, have. It was also very clear how much they depend on tourism to survive. This is why in all my travels I always try to support, shop, and eat locally. Maybe this isn’t joining the Peace Corps in an effort to change the world for the better, but I have come to realize that actively trying to support local businesses can greatly help that culture and its people. Plus, by doing this even on these small day stops on cruises, you get the opportunity to see more of the culture and really experience it. If my husband and I hadn’t decided to take up a local on river tubing, we wouldn’t have gone to a tiny village of 30 people and try a bunch of authentic food and fruits I have never seen or heard of before. We wouldn’t have gone to a tiny local bar to have a beer with our guide or eaten coconut that they picked for us right from the tree. 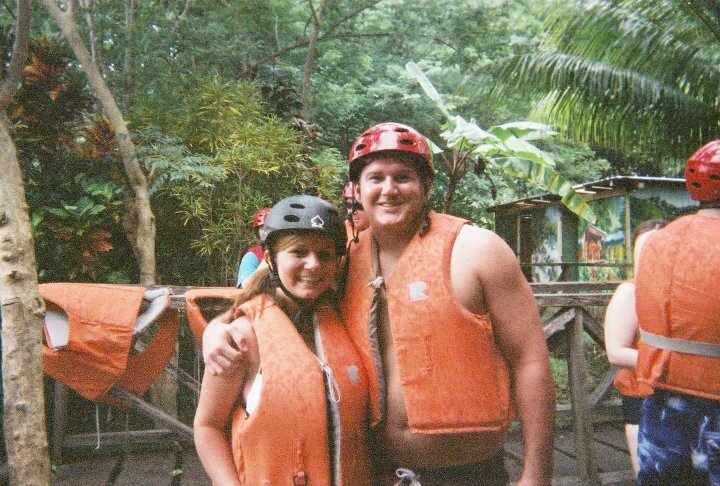 My husband and I getting ready to go river tubing in Dominica. 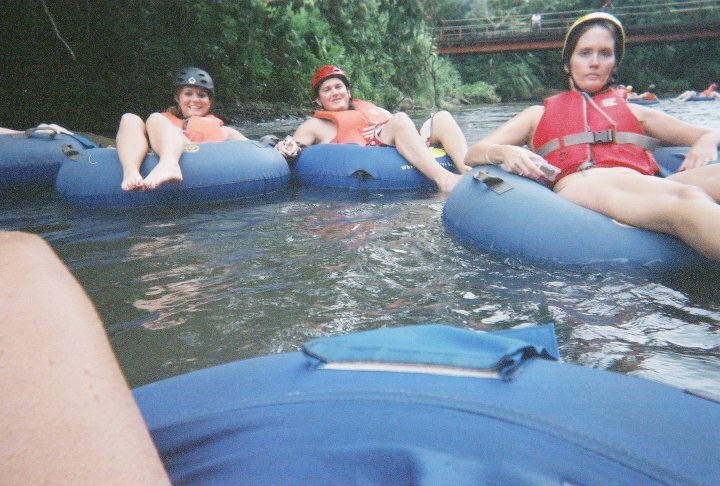 My husband and I river tubing in Dominica. 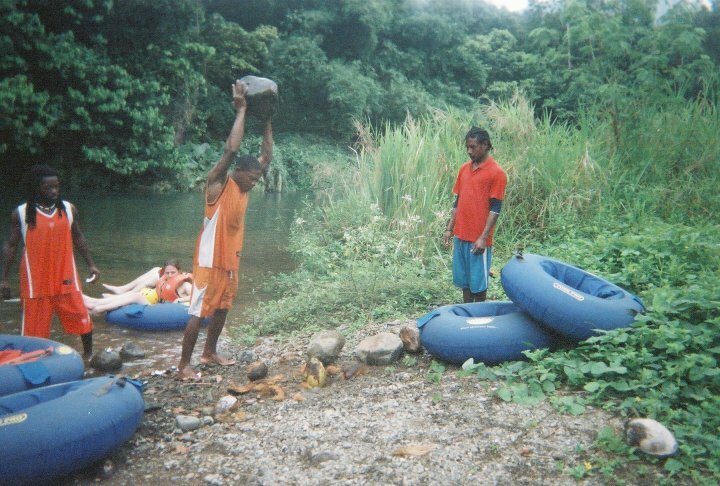 Our local tour guides (in their Suns gear) climbed up some palm trees, picked coconuts and cut them open for us with rocks so we could try some. Spurr, another well-known travel writer, says. “Let us hear, in unmediated purity, the testimony of those who are the objects of colonization and exclusion” (193). So my question to Rick Steves is, isn’t traveling anywhere and just getting a glimpse of that culture better than doing nothing? Doesn’t allowing us to contribute to that society help us gain empathy for it in a way, even if it is just a fun cruise stop for the day? Rick Steves also said that travel is a “wonderful way to gain empathy for people outside our borders.” I definitely think I have seen and experienced cultures while traveling, even in cruise travel, and gaining empathy and understanding of another culture is one of the biggest rewards and one of the biggest points of why I like to travel. I love Rick Steves, but I disagree with cruising is complete hedonism. Any travel is better than no travel. Going back to supporting locally; only eating at local restaurants and shopping at local stores rather than chains, allows you to really benefit that culture and therefore helps you become an agent of change for that culture that helps to better it and strengthen it. You get to experience the local character. Locally owned business build strong communities. Here are some other examples of how my husband and I always try to support locally when we travel. 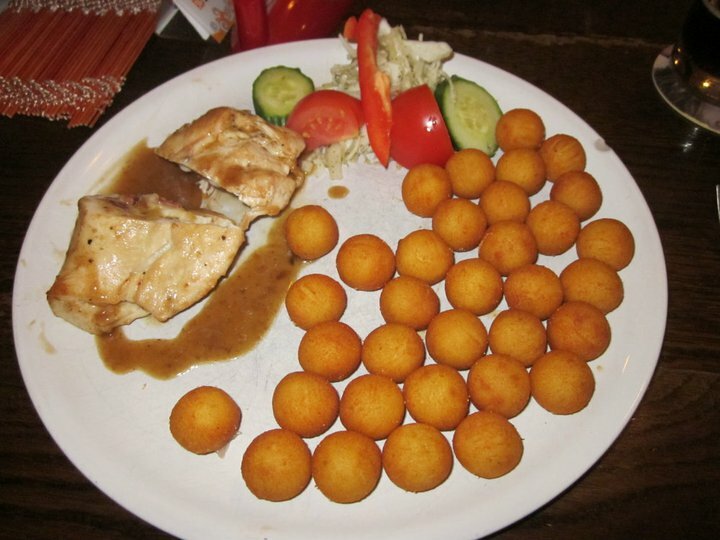 Here is an authentic Czech meal. We stayed with a friend I met in previous travels in his local village about 45 minutes outside of Prague. We walked down to the main dirt road in his village to the restaurant, which was also the restaurant owners house. Her little kids brought us our beer after we ordered and then went back inside to watch TV in the living room. However, you don’t need to go to these great lengths to eat local-why not just try a restaurant you wander past during your travels. 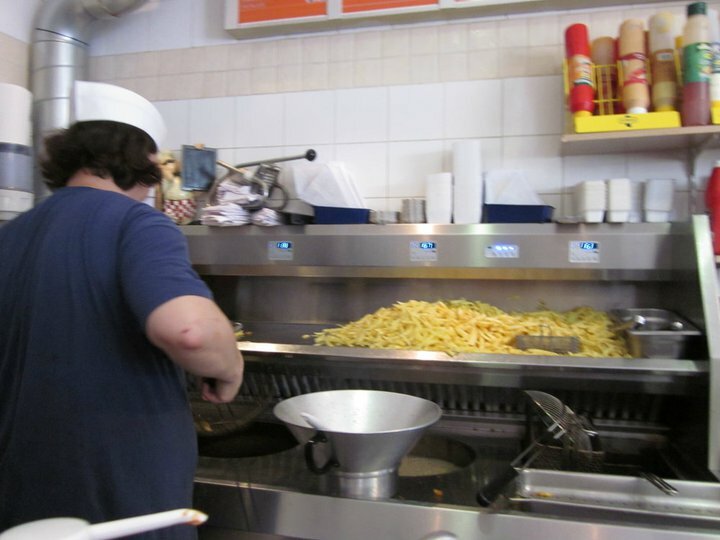 Here is a Frites shop in Belgium. It was a tiny room that you basically just ordered in and were handed your food. When we walked up to the frites to-go shop, the guy in the picture was outside smoking and got up to go inside to help us. After he gave us our food he came and sat with us outside while we ate. You can see local food vendors throughout any city you are in, give them a shot! 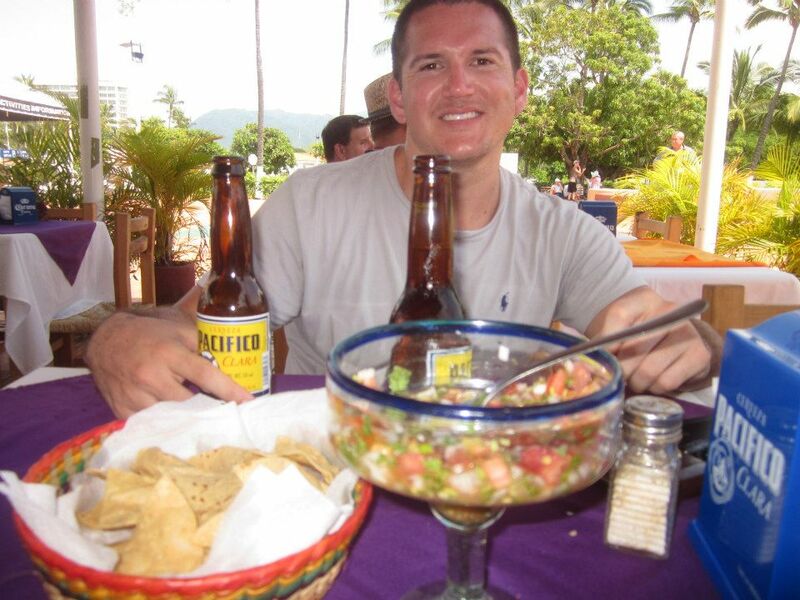 My husband enjoying some homemade salsa and a beer at a beach bar in Puerto Vallarta. Rather than staying at a resort, we liked to wander into town and eat where we would stumble upon. The owner of this place had their kids playing games at the table next to ours. In a previous blog post I talked about the market in Budapest. We love to frequent the markets at each city we stay in. 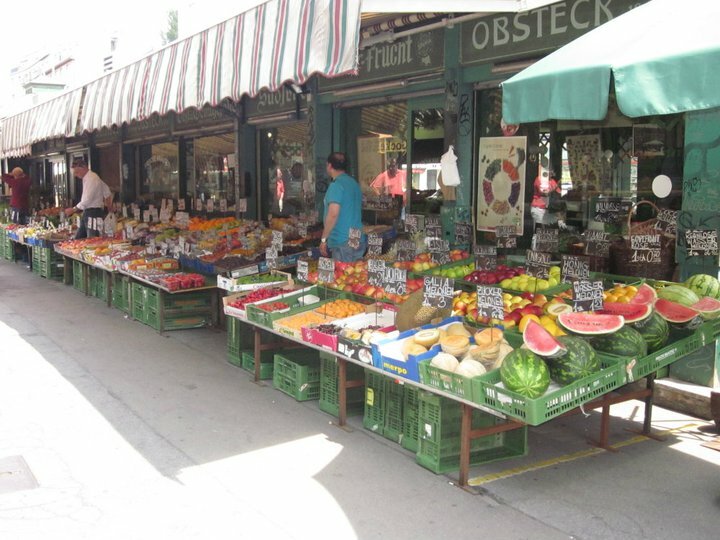 Here is a market in Vienna, Austria. I got some honey from the honey vendor and we ate some sandwiches at the butcher shop. I love this post. You give such great advice about eating and shopping locally when traveling. I think some people are so afraid of the new experience that they default to the first name they recognize. This can cause them to miss out on a true experience of the culture. Another important reason to shop locally is that you know that your money is going to directly help these families. The Mom & Pop shops are the livelihood of these families. I think you could also add some information for the not so adventurous. There are many local places to shop in any community, even if you do not want to travel far. It reminds me of my hometown, I am from Lake Havasu, and all it is purely a tourist town. Once upon a time, the village under the London Bridge was booming with family owned businesses. Now, over 90% of these family businesses have had to close because of a lack of local shopping. When it is not tourist season, locals want to get their items faster and cheaper at the corporate shops. It is sad to see the ghost of what used to be. Your blog is so inspirational as well as informative. I am always engaged and wanting to read more! I noticed this on some of your posts, but consider having a picture to draw us in somewhere in the beginning of the posts. Your pictures are so interesting, that I might be guilty of scrolling to look at them first before reading. You did a great job incorporating the arguments of travel writers without making it seem like I was reading a formal document. I truly hope you continue writing and sharing your travel experiences!